How are stem cells administered for Multiple Sclerosis? Full Body IV in which the stem cells are administered directly into the vein. Intra Nasal in which the stem cells are administered to veins in the nose which allow the cells easier access into the brain. Injections at the base of the spine in which stem cells are injected to target spinal lesions. Direct site injections in which stems cells are injected to the area in need of repair. Can Stem Cell studies help treat patients with autoimmune diseases? Immune suppressive agents such as steroids, methothrexate, cyclosporine, gold and infliximab are typically prescribed to treat autoimmune conditions, however with the possibility of long term adverse effects. Auto-Immune Stem Cell Clinical studies are being evaluated to determine stem cells’ role in improving auto immune complications to perhaps help patients who do not respond to conventional drug treatment. 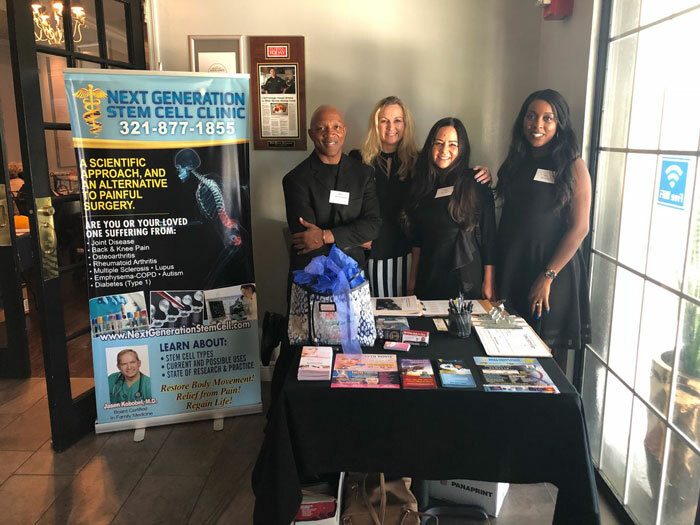 If you would like more information regarding stem cell therapy at Next Generation Stem Cell, please call. Autoimmune diseases are when the body’s own immune system begins to attack itself by seeing itself as an invader. This happens as a result of a glitch in the immune system where it cannot distinguish properly between itself and a foreign invader. Thus, what is normally a marvelous way for the body to protect itself, becomes its worst enemy. What are the common types of Autoimmune Diseases? Lupus – a disease where the immune system creates antibodies that can attack the skin, joints, kidneys, brain, heart, lungs and blood. A study showed 80 % partial to complete remission of lupus. At the 5 year mark 47% of those relapsed leaving nearly 42% of the original patients still in at least partial remission at the 5 year mark. 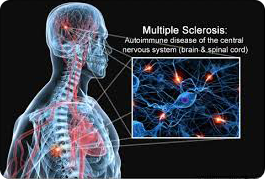 Multiple Sclerosis – a disease affecting the brain and spinal cord due to attacks on the protective coating around the nerves. Type I Diabetes – a disease in which the pancreas cannot produce the correct amount of insulin due to the attack on beta cells by the immune system. The result of unregulated blood sugar due to the lack of insulin can cause damage to the nerves, kidneys, eyes, gums and teeth, with the most dangerous result being heart disease. Crohn’s Disease – also known as Inflammatory Bowel Disease, is a disease that causes chronic inflammation of the digestive tract. Rheumatoid Arthritis – is a disease in which the immune system attacks the lining of the joints. Alopecia areata – is when the immune system attacks the hair follicles. Autoimmune hepatitis – is a disease that attacks the liver cells. Celiac disease – is a disease in which the immune systems damages the lining of the small intestines when people eat gluten, a substance found in some foods and medicines, but mostly in wheat, rye, barley and many processed foods. Graves’ disease – is an overactive thyroid with many unpleasant results including rash, weight change, goiter and eye bulge. Hashimoto’s disease – is an underactive thyroid which results in fatigue, weight gain, muscle aches and stiffness among other things. Psoriasis – is a disease where the immune system attacks the skins cells by causing new skin cells grown deep in the skin to rise too quickly and accumulate on the surface creating a rash. How could stem cells help in Autoimmune Diseases? Adipose stem cell therapy has the potential to help manage the complications of autoimmune diseases by replacing cells damaged by the disease. Recreating new cells may help to produce a healthy immune system response. How are stem cells administered for Autoimmune Diseases? Intravenous in which the stem cells are administered directly into the vein. Direct Injections in which stems cells are injected to the area in need of repair. Intranasal in which the stem cells are administered to veins in the nose which allow the cells easier access into the brain.